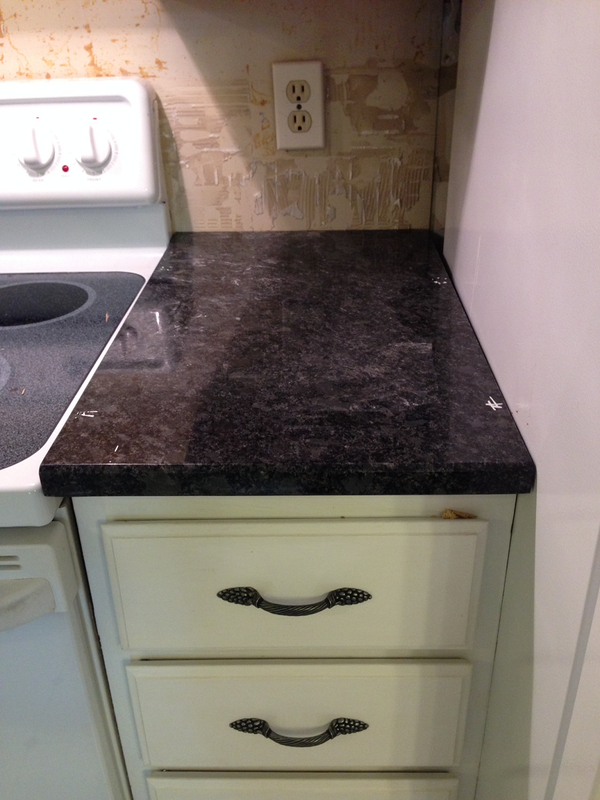 You are here: Home / Color Class / Thrifty Kitchen Transformation-Granite Day! 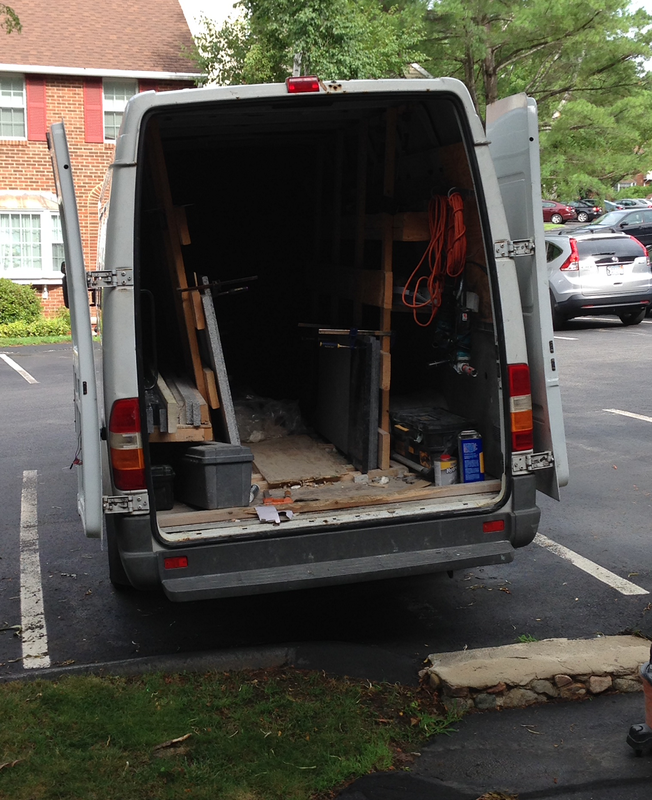 Yesterday was such an exciting day in the thrifty kitchen transformation process-granite installation day! Thanks to Alpha-Granite in Wakefield, Ma, we secured this gorgeous hunk of granite called Steel Gray at a great price, with great service. 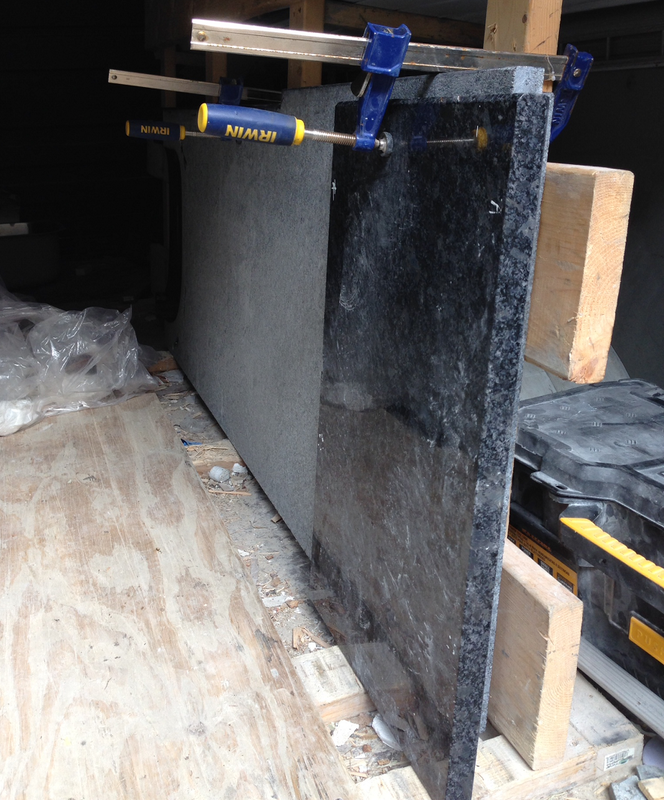 Ten days from choosing the granite to the install, they arrived on time, worked quickly and efficiently and cleaned up before they left. 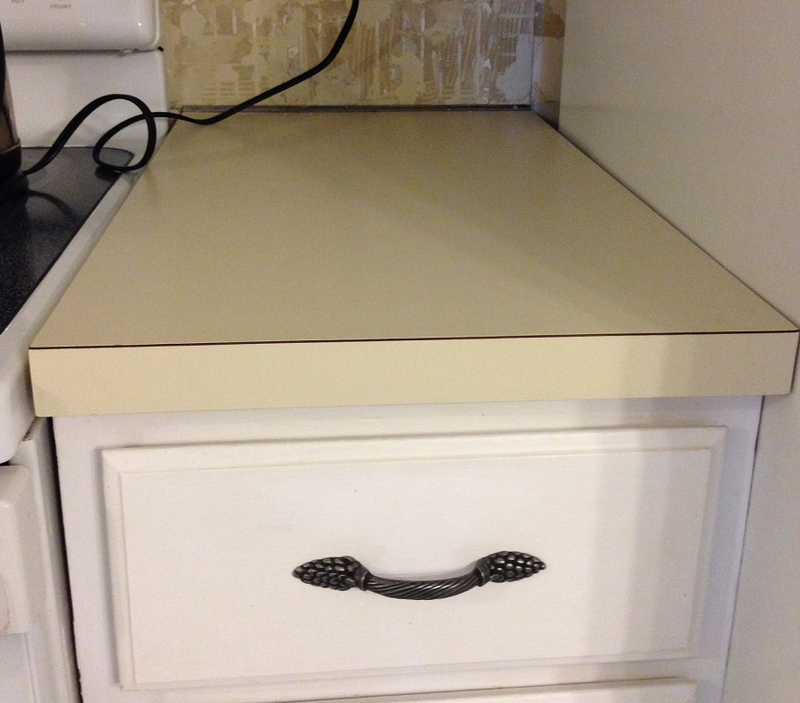 As promised, the truck rolled up at 8am and the process of removing the old formica countertops commenced. Now, as an avid DIY’er, I like to think that I can pretty much do most everything myself. That is, after all, what DIY means: Do It Yourself. However, I do know my limits, and fabricating and hauling around giant slabs of very heavy granite just was not in my job description for this particular project. 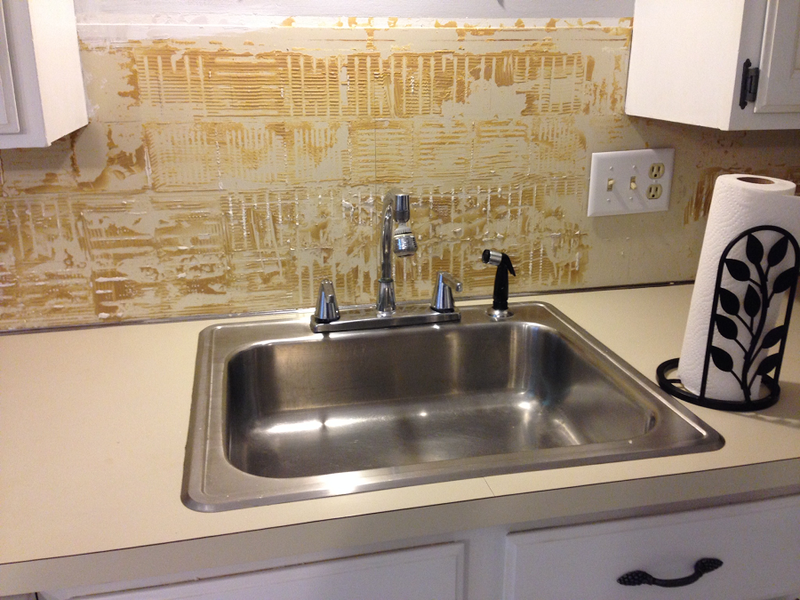 So, here is the before: yucky yellow 1970’s Formica with the over-counter-installed stainless sink which they quickly removed and junked. And here is the after: shiny black with flecks of grays and browns, which really complements the painted white cabinets and the awesome hardware! As we’ve continued the work on the kitchen, the one thing mom and I keep noticing is how much lighter and brighter it appears now. Gorgeous Susan – what a difference! 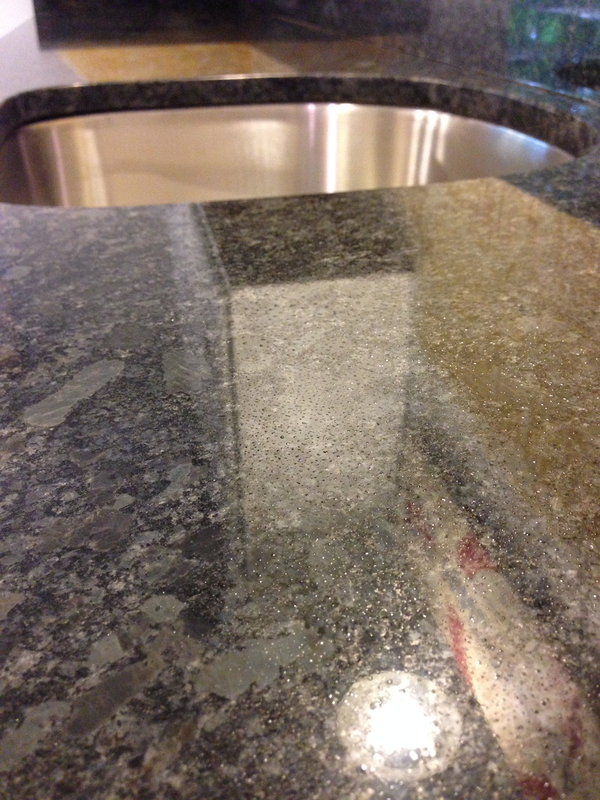 You’re going to love your granite countertops.